The right Loading Dock Equipment will make all the difference when adapting to any delivery condition. Whether bridging the gap from uneven trailers, handling weather conditions, protecting against impact damage or avoiding accidents, Cranston Material Handling of Pittsburgh can help you keep your staff, equipment, and facility safe from dangerous situations. Cranston Material Handling of Pittsburgh has been designing and installing loading dock equipment for decades. If you used accepting goods from a variety of vehicle types in addition to semi-trailers, portable truck loading dock equipment is also available through Cranston Material Handling of Pittsburgh. Let Cranston Material Handling of Pittsburgh, Pennsylvania Assess your Warehouse Loading Dock and Dock Safety Needs. We have decades of experience working with clients on a diverse number of issues. We’ll start with a conversation about how your facility works and what you would like to accomplish. 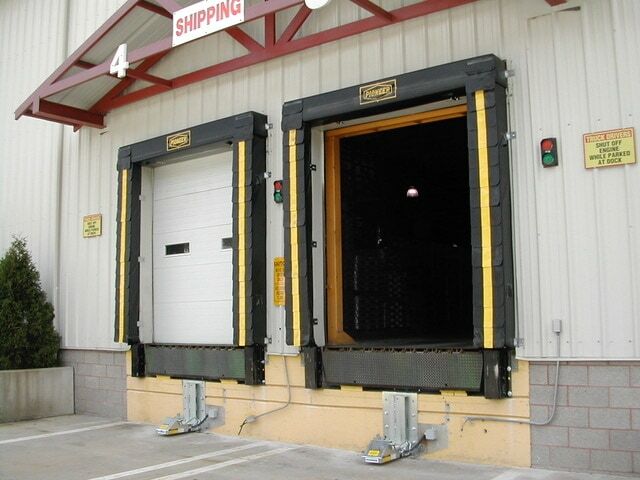 You’ll present with the best choices in loading dock equipment and safety solutions.